A semi carrying more than 24,000 pounds of cereal burst into flames on I-65 in northwest Indiana. ROSELAWN, IN -- A semi carrying about 24,000 pounds of cereal and vegetable oil burst into flames early Friday morning on I-65 in northwest Indiana, closing the northbound lanes of the interstate for more than 7 hours. Indiana State Police said the 2014 Peterbilt semi and box trailer owned by Hoekstra Transportation out of Saint Anne, Ill. got a flat tire on northbound I-65 about two miles north of the Demotte/Roselawn exit. The 63-year-old male driver from Hartford, Mich., pulled over on the right shoulder around 4 a.m. Police said that's when the brakes caught fire. He tried to put out the flames with a fire extinguisher and disconnect the tractor from the trailer, but police said the flames were too intense. 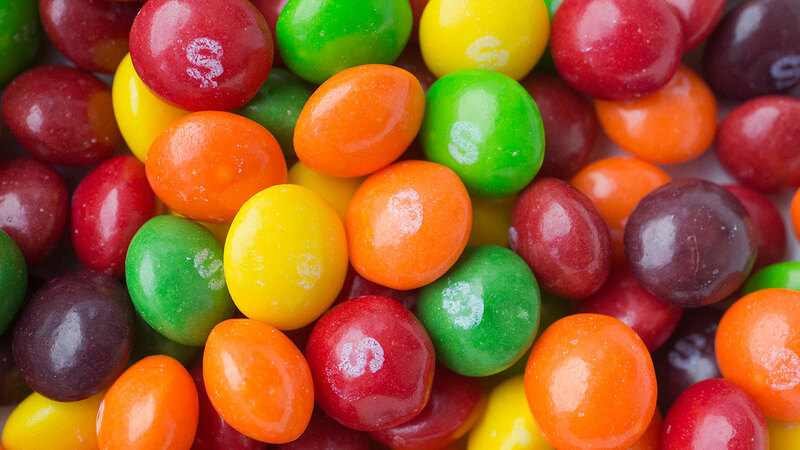 Thousands of Skittles fell off the back of a flatbed pickup truck and spilled onto a highway in Wisconsin. When emergency crews arrived, the truck was fully engulfed by flames. Firefighters had a hard time extinguishing the fire because the vegetable oil kept reigniting, police said. They were still putting out hot spots around 6:20 a.m.
Traffic was diverted north at State Road 10, police said. One lane of northbound I-65 re-opened briefly around 7 a.m. to left stuck traffic get through, but all lanes remained closed until around 11:30 a.m. Police said traffic was backed up for about 10 miles. After the fire was extinguished, the trailer had to be unloaded. Police said the damage to the truck was so extensive that equipment had to be brought in to clean up the mess.